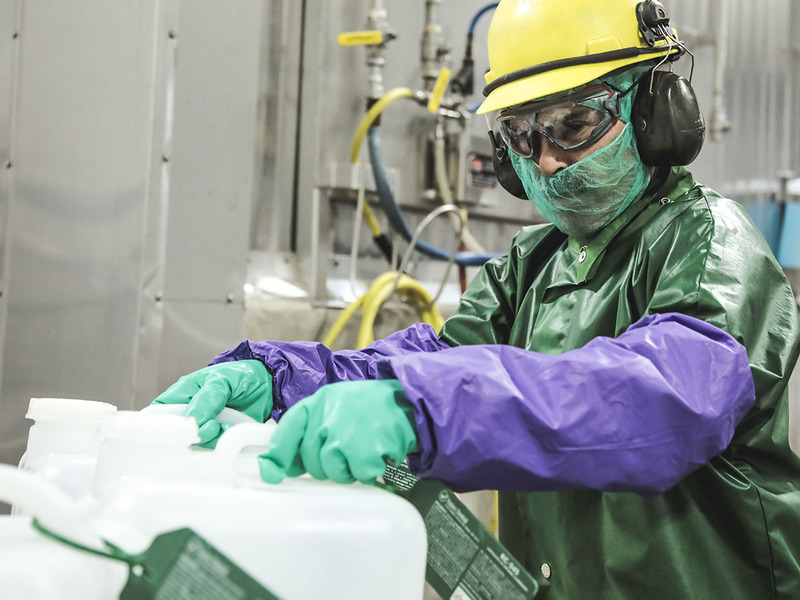 Recalls, foodborne illness outbreaks, and new regulatory rules are challenging nearly every business across the food supply chain to reevaluate its business and procedures as it relates to sanitation and safety. It has led to a higher-level of internal and external environmental and finished product sampling to test for any traces of contamination. But, are we really getting to the root of the cause of the problem to protect the safety of consumers? Traditionally, sanitation inside food processing facilities has been viewed as a janitorial type service. In many cases, businesses may even have had multiple different internal or external groups managing the sanitation process. That unfortunately leaves a lot of open holes and questions to be answered about the process and approach to food safety as a whole. The new level of complexity around sanitization in today’s world of food processing requires a much deeper level of knowledge and expertise to stay ahead. It’s not only about protecting your business and the people consuming your products today, but having the right experts to help you determine the best solutions for how to better protect yourself tomorrow and into the future. Especially as processing facilities continue to age and new issues arise. Sanitation is both an art and a science, that requires specific microbiological, chemical, safety and technical design expertise to identify potential risks or hazards in each unique environment. From the facility to the equipment to the overall air and water quality, there are endless variables that can impact the effectiveness of sanitation. It’s a lot for a business to manage, while also ensuring the quality of its products amongst growing production demands. That’s why it’s important to find an expert food safety partner who not only understands these variables and how to design custom sanitization programs, but also has the expertly trained staff to help build a proactively monitor and manage it consistently on a day-to-day and even hour-to-hour basis. Something as simple as a change in water pressure or humidity in the air can have a critical impact. Having a team dedicated specifically to the proactive sanitary design and management can ensure there are no oversights or forgotten pieces of the puzzle. For example, in a perfect world, your sanitization partner should be part of the initial facility and equipment design. Everything from the chemical room plan, to the design of drains, configuration of the water system and water drop locations, as well as the equipment design play an impactful role in the overall safety and sanitization process. The right investments and plans up front will save time, resources and money in the future. However, while building a new facility, redesigning certain areas or purchasing new equipment may not be on the horizon for most food processing businesses, it is worth taking note. Putting an action plan in place for how to mitigate potential risks today and begin prioritizing those updates for the future will help businesses stay ahead in the long run. Equipment in particular is one of the most challenging variables sanitization partners face, but it is also one of the costliest updates or changes to make. The inability to reach or touch certain areas makes it difficult to clean properly to a ‘microbiological clean’ level. These are harborages are where bacteria can grow and pathogens develop. Finding sanitation providers who have the experience in dealing with these types of situations are critical. Many times, it requires the expertise of a microbiologist and chemical partner, or a technical design expert and plumber working together to determine the right solution for a specific situation or potential issue. Sanitation providers have also recently started working closely with equipment manufactures to consult and provide feedback on optimal design and material for cleaning. Additionally, there is an ever-growing list of new allergens, bacteria and other viruses like the bird flu or swine flu announced on a weekly basis. These require specific research, employee training and management that can impact a broader sanitary design plan. The risk is simply too great today for the safety of your customers and your brand, not to take a deeper look into your sanitation design and support structure. It’s more than a service, but rather a partnership that is the foundation to a true food safety culture.